All Three Rivers homes currently listed for sale in Three Rivers as of 04/19/2019 are shown below. You can change the search criteria at any time by pressing the 'Change Search' button below. 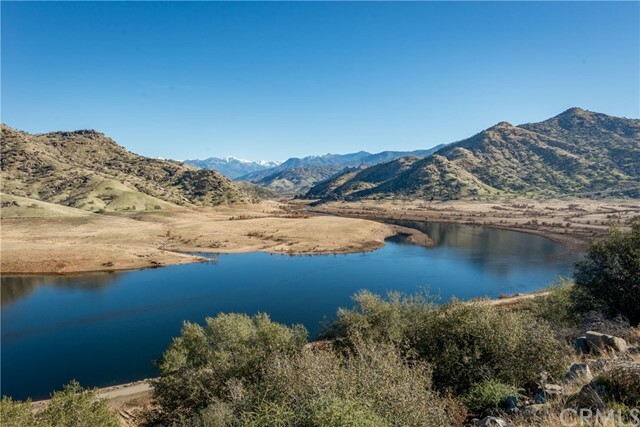 "Nestled in the foothills just below Sequoia National Park, this private multi-use property of 6+ acres is truly unique for Three Rivers, CA. 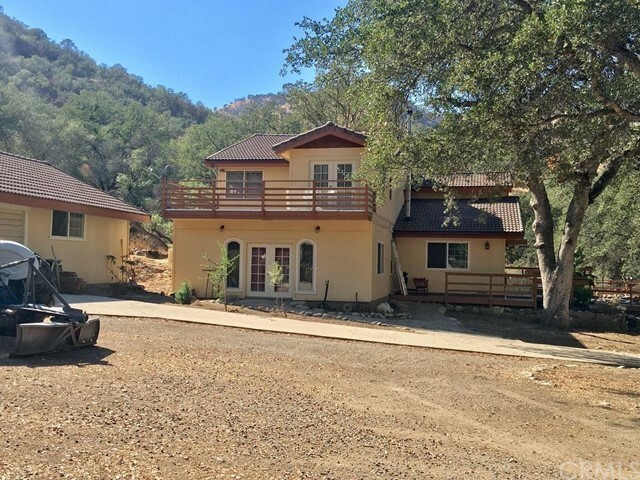 A short distance from Lake Kaweah, dirt bike & hiking trails, this tranquil & secluded property features towering Redwood, Pine, Sycamore, Red Bud, Oak trees & more. It is enhanced by a year-round stream that flows through it, koi pond, & deeded water rights with 6200 gal water storage on site. This estate features 2 completely re-roofed & remodeled residen"
"Rare Find! Beautiful Riverfront Property with Pastoral setting on Private Dr. This amazing 6.75AC useable property offers a 3,165 sqft home 5bed/3bath +loft+4 car garage! Tons of custom features yet a true Three Rivers home. Boasting- vaulted ceilings, solid acacia hardwood floors, hickory kitchen cabinets, farm sink, wide commercial oven w/griddle, remodeled bathrooms upstairs. Brand new AC/Heat Mitsubishi mini split. New Rooftop Solar panels. New carpet in bedrooms & loft. Decks. 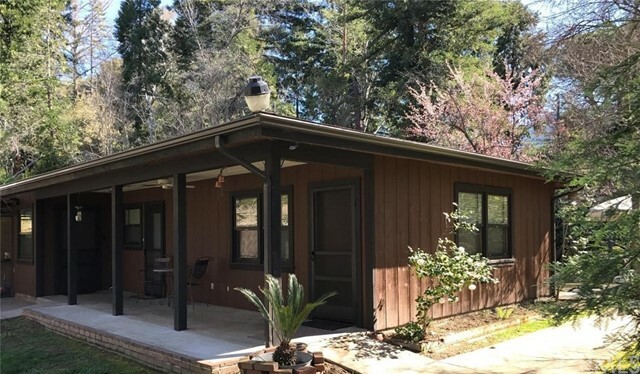 Above ground "
"Three Rivers, CA -Mineral King, CA & Silver City, CA- this is truly a rare opportunity to own Deeded property inside Sequoia National Park. 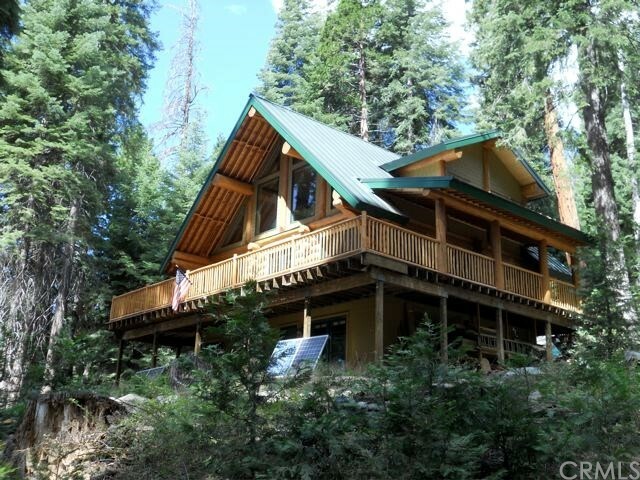 Rarely does property in the small mountain community of Silver City located in the Mineral King Valley come on the market, let alone with a stunning, meticulously crafted log home. The pride & workmanship show in this architectural masterpiece. This fabulous OFF-the-GRID mountain retreat is located in the heart of the Sierra Nevada Mountains at 7,000 ft. sur"
"Gorgeous Views & Awesome Sunsets! 8 miles from gate to Sequoia National Park entrance. Beautiful 4 bed,3 bath, 2385 sqft home is situated on a 1.33 acre lot overlooking expansive down-canyon views in highly desirable South Fork Estates. Roomy kitchen with solid cherry cabinets and granite tile counter tops with a large butcher block island. This large property has plenty of room for a large garden, orchard, or a couple of horses. It also has an 8ft deep built in pool with fencing around the pool"